Each design is chemically etched into brass and recessed areas are filled with plastic based Photo Etched. Each color must be separated by a thin metal line. 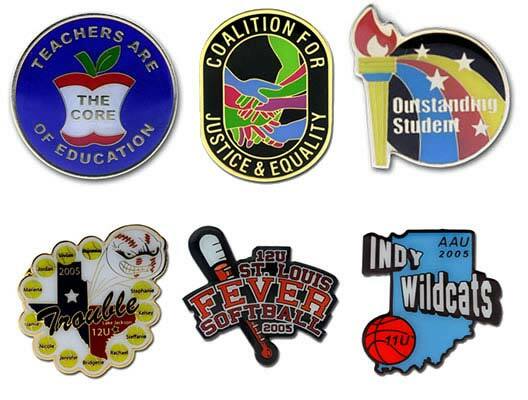 All emblems are plated in gold, silver or bronze, with or without a clear epoxy coating. Your highly detailed image is photo chemically etched, this etched process allows for a thinner and lighter lapel pin. Giving your pin a rich look and detailed quality.